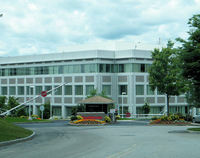 Raytheon is a major American defense contractor that specializes in defense and homeland security technology. As the world’s largest producer of guided missiles, Raytheon specializes in manufacturing defense systems and defense electronics. A member of the defense electronic industry, Raytheon is most active lobbying on defense, homeland security and federal budget appropriation issues. Aerospace Industries Association Trade association representing major aerospace and defense manufacturers. Intelligence and National Security Alliance Represents the public, private, and academic sectors of the national security and intelligence communities. Change the Equation Obama STEM Initiative "Educate to Innovate"
US Army Land warfare service branch of the United States Armed Forces.